Australian Logistics: Ready for the Amazon FBA? Home/Australian Logistics: Ready for the Amazon FBA? The adoption and introduction of Amazon’s Prime e-shopping together with Amazon’s pick and pack distribution and warehousing centers, FBA, is now a big business disruptor in both Europe and the U.S.
A dramatic development that has taken place in the shopping patterns among North Americans is now evident in Europe. Amazon Prime has members close to 63 million in the U.S and this guarantees efficient delivery for several items on the same day or on the second day. Amazon holds around 60% of United State’s online retail market share and turned more than $107bn in 2015. The company has announced of plans to establish fulfillment services (FBA) across Australia around September 2017. The Australian logistics industry will be highly impacted by this change across the market. The question now is whether your logistics business is ready to face the challenges posed by Amazon’s entry into the fulfillment industry. It is not just Amazon that sells items on its platform and uses the fulfillment services. European and U.S companies also flock to post their items on the Amazon merchant’s platform. If you are running a logistics and transport business or you offer pick, pack, and warehousing services, then Amazon will create implications for your business. Amazon is running a business that is rapidly expanding and some of its procedures are onerous for transport operators. They demand shipments to be booked when using their system for booking (CARP) and this turns away any vehicles that fail to meet their requirements for unloading and the shipments that fail to comply to the set receiving requirements. These requirements include carton weights, pallets size, the right shipping labels, packing of the shipment, and other considerations. Trucks may be detained till the load on them is checked in. This process may seem somehow belligerent but it is understandable considering the high volume of throughput they want to achieve. Many merchants new to Amazon might be unaware of existing consequences of failing to pack pallets correctly, exceeding the maximum weight limits and failing to label the boxes. If you fail to manage customer expectations, then the customer might pass the blame on you. There exists some U.K and U.S based firms that specialize with preparing shipments meant for Amazon and they offer good logistics at a fee. You can consider offering merchants with preparation services for Amazon FBA as part of your business strategies. Amazon FBA presents competitive services for pick, pack and 3PL Services. However, sellers on Amazon will still have opportunities to utilize the existing services through Amazon’s platform. There are two key reasons why this will happen. To start with, Amazon wants to deliver smaller packages under a meter in length and not exceeding 25kg in terms of weight. There are many items that can’t fit in this category. Secondly, the company is unable to manage its own expansion in Europe and USA and now has measures in place that will ensure 3PLs act as Amazon Prime service providers to ensure that their performance criteria for delivery is met. The company’s platform makes it possible to integrate third party software to ensure sales and items that are not kept in the company’s warehouse are integrated. Most vendors are supporting multi-platform integration to ensure 3PLs can pick items and pack from EBay, Amazon and other such online retail platforms. This offers a holistic solution for merchants to sell on their websites and on online marketplaces such as Amazon. Successful Amazon merchants situated oversees will be pulled into the new Australian market like it happened in Germany, Italy, Spain, England, and France. The merchants will be after logistic partners who are Amazon ready and understand their specific needs and those who can offer seamless support during all stages from dockside of items to their delivery. The merchants expect to pay for the services in advance. It is unlikely that the sellers will move to billing based on arrears. 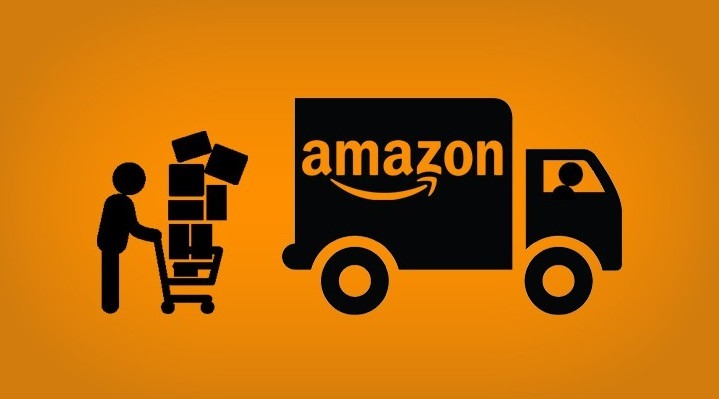 They are likely to understand all the intricacies behind Amazon and will also want to work with companies that can handle repacking and reshipping requirements whenever Amazon turns away a consignment.